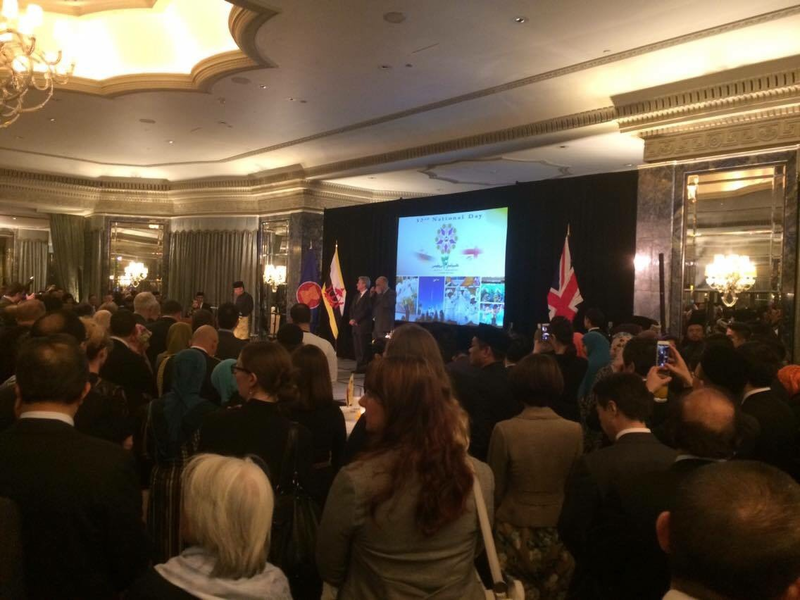 Colonel BG, Col James Robinson, was delighted to be able to attend the 32nd Bruneian National Day celebrations at the Dorchester Hotel in London on Wednesday 24th February 2016. 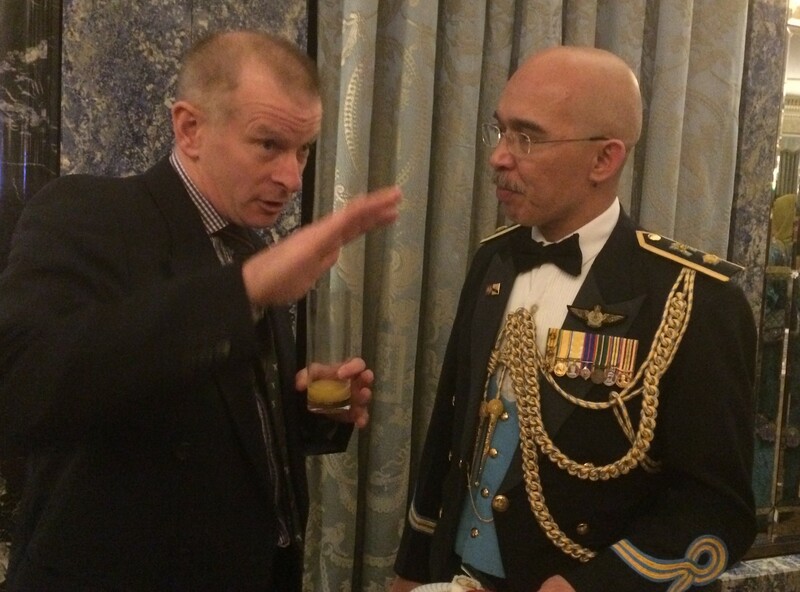 It was a wonderful opportunity to show support to this very important celebration and Colonel BG particularly enjoyed being able to catch-up with the Charge d’Affairs of the Nepalese Embassy, Mr Tejbahadur Chhetri and the Defence Attaché, Lt Colonel MD Azmi MD Husain. 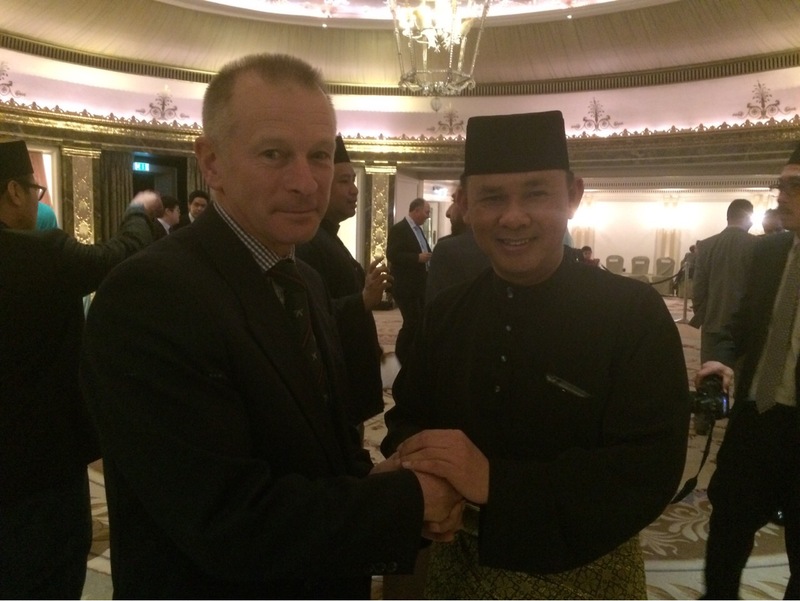 Colonel BG also spoke at length with the High Commissioner, Maj Gen (Retd) Dato Haji Aminuddin Ihsan Bin Pehin Dato Haji Abidin.